Posted by admin on Nov 14th, 2018 and filed under YOUTHS & SINGLES CLINIQUE. You can follow any responses to this entry through the RSS 2.0. Both comments and pings are currently closed. If any governor in Nigeria should be awarded the toga of “Complainant General” in the present political dispensation, the Imo State number one citizen, Owelle Rochas Okorocha, is expected to be at the vintage position to merit the nick name, if his perennial lamentation about happenings in APC are considered. Reason is that since the process for another transition commenced this year, the governor and his followers have turned “wailers” over the outcome of any political exercise in the All Progressive Congress, APC, Imo State chapter. Okorocha is not just a member of the ruling party, but also the chairman of APC Governors’ Forum, known as the Progressive Governors. But the result of events beginning from the congresses of the party have positioned him among tops calpable of meriting the “Complainant General” title. Signs that Okorocha would cry for a better part of 2018 following the commencement programs for next year’s elections emerged early, when the dress rehearsals for 2019 elections commenced in the APC. The initial worry of Okorocha was the control of party structures from the ward, LGA, State to National levels. Apparently aware that he had no solid control of the party structure to institute a suspected political hegemony in the state and to a large extent, national level, for future political destination, the Imo State governor was the architect-in –chief clamoring for a fresh congresses to usher in new executives at all strata of the party. In the early stages, there was a general feeling in APC for the tenure of the party excos to continue till after the 2019 elections having exhausted the four-year mandate. But the Imo State governor was fingered among those opposed to it. In a vote conducted during the national meeting of the party involving all stakeholders, in Abuja, Okorocha and his group lost out in the quest to oust the John Odigie-Oyegun led national exco which would lead to the scrapping of other associated structures at the state, LGA, and ward levels. Such action, in the thoughts of the governor would pave way for him to have his perceived political enemies weeded out for fresh ones. However, luck came the governor’s way in a new twist when President Muhammadu Buhari, alongside a national leader of the party, Bola Ahmed Tinubu reversed to ask the party hierarchy conduct congresses for election of new party executives. That was the beginning of Okorocha’s woes. The intra party squabbles of Imo State chapter of APC is well known because of the hullabaloo raised during the exercises. The highlight was the emergence of the parallel executives at ward, state and LGA levels where a faction controlled by the governor, comprising his appointees and sympathizers under Rescue Mission faction pitched against a group known as Imo APC stakeholders branded as Coalition. Okorocha didn’t fail to point accusing fingers at Oyegun for aiding the Coalition, somehow called Allied Forces have upper hand against his group during the state congresses that commenced on May 5, of this year. The result showed that the Coalition led by Ifeanyi Araraume, a seasoned politician and two-time Senator of Okigwe zone, who has ported to APGA, to pick the governorship ticket, Okorocha’s Deputy, Eze Madumere and other former key appointees had a field day by pocketing the available positions, leaving the Rescue Mission group, led by Okorocha with no option than to heap their sorrows on the door steps of Oyegun by accusing him of being behind the misfortune that befell them. Campaign of calmony and name calling through media attacks were mounted against Oyegun until Oshiomole was elected to take over. In the build up to the National Convention of APC, the Okorocha group paid glowing tributes to the political sagacity of Oshiomole as the incoming one to sanitize the system. They made several social media posts attaching pictures of the immediate past governor of Edo State as their next political messiah to salvage the party’s image. Had it been Okorocha and his allies were hinted about the ominous signs of Oshiomole coming, the governor with Owelle chieftaincy title would have tagged the fortune teller a fake prophet. Despite inviting the national chairman as star witness of the APC mega rally organized by the Okorocha faction immediately after the National Convention to savour the victory of producing his choice candidates; Oshiomole and National Organization Secretary, Emma Ibediro, things turned awry later on for the governor when it was time to choose candidates of the party ahead 2019 elections. Recall that after the May 2018 primaries where the Okorocha group lost out, the entrance of Oshiomole saw the NWC revert the trend by ordering for fresh congresses that ushered in cronies of the governor as party officials. A new twist appeared in the rosy relationship between Okorocha and Oshiomole during the discussions for conduct of party primaries. While the Rescue Mission group of Okorocha advocated Indirect Primaries, the Coalition opted for Direct Primaries. The NWC led by Oshiomole ridiculously danced to the Coalition tune and insisted on Direct primaries. Sinister signs for Okorocha under Oshiomole leadership increased when a disagreement ensued between them over the method for conduct of primaries. Stories had it that the Imo State governor led few of his aggrieved Governor- colleagues to kick against the Direct Primaries posture adopted by the former Edo State governor. Further to the suspicion of a frosty relationship, was the conduct of Governorship primaries in the State. Before then, Oshiomole was said to have titled towards the side of the Coalition in agreeing to the harmonization arrangement where a 45/55 ratio of sharing party offices would prevail as part of the peace process in resolving Imo APC crisis. Sources however revealed that Okorocha was not disposed to such arrangements. Further reports have it that Okorocha’s opposition to the harmonization principle as recipe for peace irked members of the NWC including Oshiomole, who hitherto withdrew sympathy to the Rescue Mission faction leader. The end result was the introduction of Direct primaries process to exclude influence of the party Exco members under Okorocha’s control in the exercise. The coming of Ahmed Gulak, the electoral committee chairman, the NWC sent to the state for the conduct of the governorship primaries exacerbated the widening gap between Oshiomole and Okorocha. The decision of the NWC to accept only Gulak’s committee declaration of Hope Uzodinma as governorship candidate of Imo APC against that of Uche Nwosu, Okorocha’s son in-law and favoured candidate for the position fertilized the upheaval ravaging the party. Okorocha’s camp has not spared any avenue to blame Oshiomole for the sad tales witnessed so far over the inability of the governor’s son in-law and some allies getting APC tickets for various positions ahead 2019 election. Their fierce battle between the party chairman and chairman of the Governors’ Forum entered a frightening stage when both took to the media for public verbal crossfire. From the electronic to the print and social media, foul exchanges from their camps dominated the reading and viewing scenes with the attendant unprintable words improperly garnished in the diatribe. Suspicion is rife that either Okorocha is not a refined manager of goodwill to sustain political relationship with associates or induced by illusion not to embrace political realities of the present dispensation. Since he came on board in 2011 to become the number one citizen of the state, Okorocha has fell out in controversial circumstances with majority of his political soul mates he started the governorship race, with thereby showcasing that the inglorious experiences with Oyegun and Oshiomole at the national stage are not unexpected. It is no longer news that Martins Agbaso is instrumental to Okorocha coming into power in 2011 as Imo State governor. The Emekuku born fair skinned politician had been the numero uno of APGA in Imo State. He had comfortably in his pocket the party governorship ticket before an agreement saw Okorocha fly it and become winner. 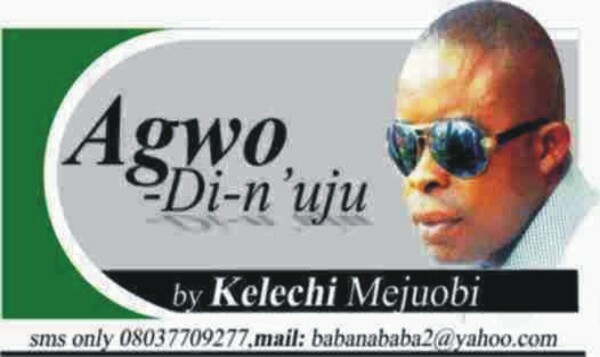 In return, a younger Agbaso, Jude Agbaso got the Deputy Governorship slot. Two years after, the political marriage between the Okorochas and Agbasos crashed. Jude Agbaso witnessed an ignominious exit from Government House, Owerri, via impeachment by members of the Imo State House of Assembly over alleged trumped up charges said to be perfected by Government House, Owerri forces to cut off the latter from further feel of the booties arising from 2011 victory. A very pronounced case of altercations between Okorocha and associates since schisms enveloped Imo APC is the impeachment of story of his Deputy, Madumere. The Siamese twins account of the governor and his Deputy may take a full page to explain. But the centre can no longer hold for the two following repeated efforts to remove the number two person from office through the state legislature, which the law court has quashed. Okorocha and Madumere with over 25 year’s memorable affinity are poles apart today. I doubt if any present ally of the governor’s can write Okorocha‘s history better than Madumere. In the struggle for the soul of APC, Okorocha’s once fancied headache-free Madumere, now, is a scion of the Coalition succeding to unsettle the governor in the battle. Same scenario is witnessed about those who have served the governor as Secretary to the State Government, SSG. While his first SSG, Anthony Anwuka, ironically, an in-law and Minister for Education (State), is on a different page in terms of who becomes his successor next year, the remaining two who have tasted the office from 2015; Jude Ejiogu and George Eche, are miles away and in different camps opposed to his Rescue Mission. They (Ejiogu and Eche) remain pillars of the Coalition at variance to their former masters attempt to dominate proceedings of the APC in Imo State. Going down to commissioners and appointees who served his administration, Okorocha cannot boast of counting a good number of them under his control. For instance, a roll call of his first eleven in 2011 shows that they have not only parted ways with him but antagonize his pet project of installing the son in-law as successor. The likes of former Commissioners Ejike Uche, Ogueri Enwerem, Obi Njoku, Sorronadi Njoku, Obinna Duruji, Ann Dozie, Azunnia, Aheneku et al, are no longer part of the Okorocha political cartel. A prominent member and spokesman of the Imo APC stakeholders and inventor of the Imerienwe Declaration, that sparked off resistance of Okorocha foisting his son in-law on Imolites as successor, TOE Ekechi once served as the governor’s commissioner for information and strategy. Okorocha also severed relationship and lost the support of other seasoned politicians like Vitalis Ajumbe, Kelechi Okpaleke, Uche Njoku of Owerri Mayorial Affairs, Uche Best Mbanaso etc, the list is endless. To many observers, the free flowing tears on the checks of the governor over his current travails may not end except he takes a fresh part of honour to understand that one may not get it all in every political system.